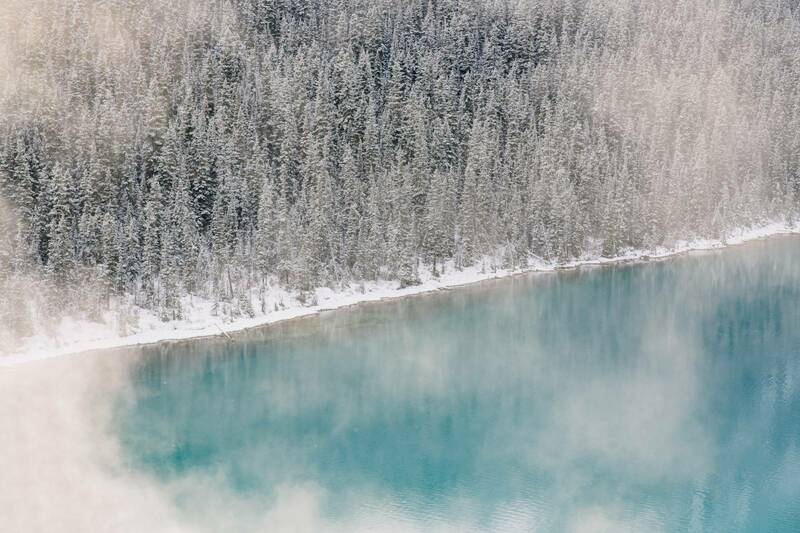 Erin & Joe's November winter wedding at the Fairmont Chateau Lake Louise was timed perfectly for that brief, beautiful & magical moment when the lake has not yet frozen and the shoreline looks like a living snowglobe. It was breath taking. 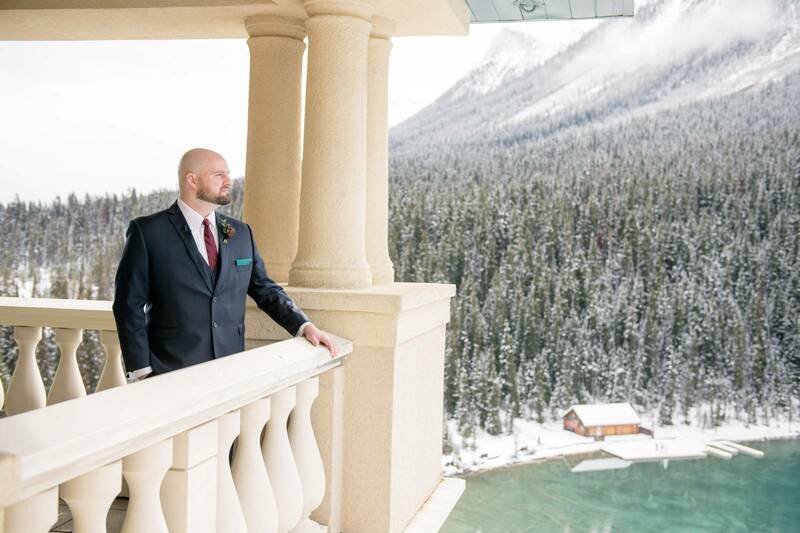 Erin & Joe braved the cool temperatures for the last ceremony of the year on the private and stunning Victoria Terrace overlooking Lake Louise. Guests were then invited into the Victoria Ballroom for an intimate and romantic 6 course candlelit dinner with lots of time to visit with the newlyweds. Erin and Joe are incredibly kind and thoughtful and a joy to be around. 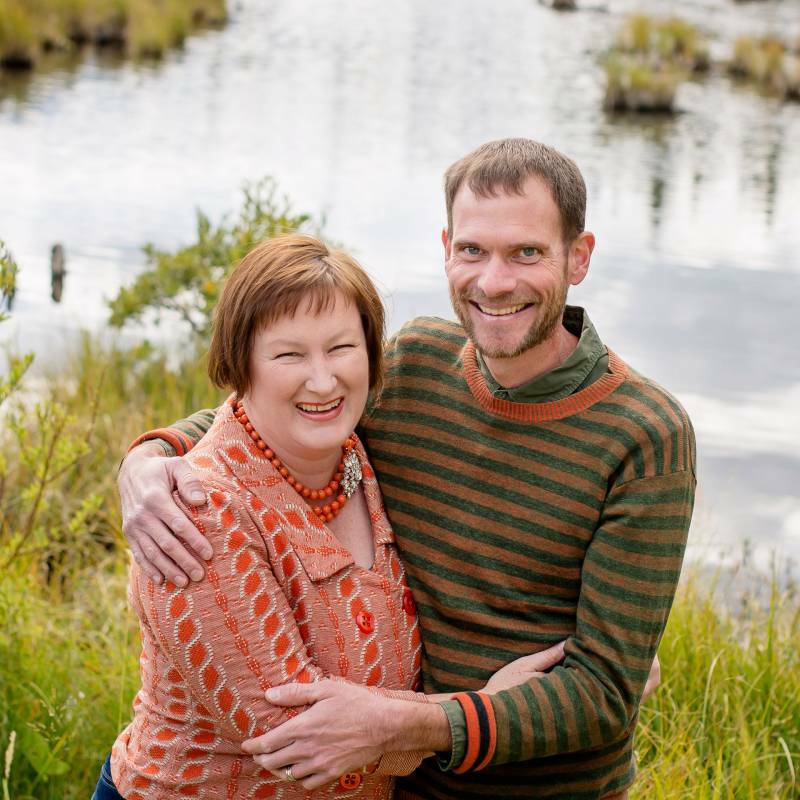 As we witnessed and stories from their loved ones confirmed Erin & Joe are perfectly matched. Their families made us feel welcome with their kindness. I was in love with Erin's style. She came prepared with cute winter boots for photos outside, stylish heels for dinner and sparkly sneakers for dancing. Erin's Hayley Paige wedding gown has been on my photographer's wishlist and Erin paired it perfectly with a burgundy jacket that she hand painted with "Mrs. Russell" for the reception. Erin made some beautiful details by hand like the velvet vow books that were used in the ceremony to share their personal vows with each other. 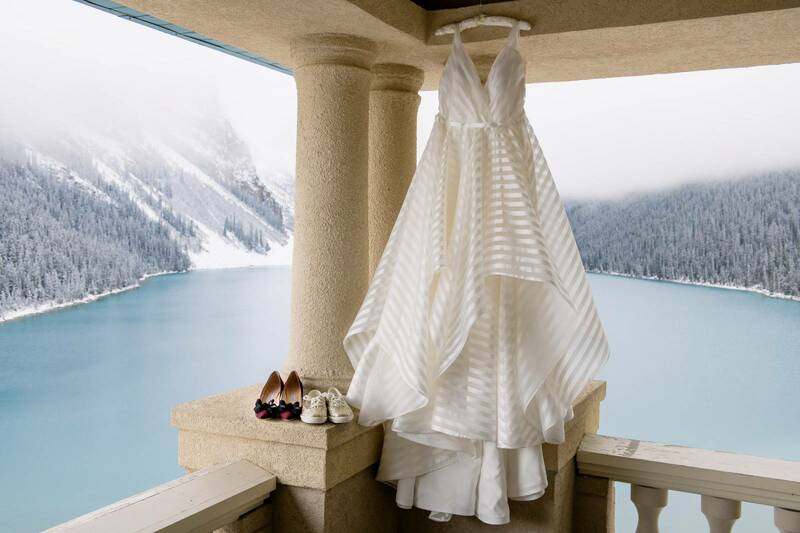 Every guest seat had a cozy custom blanket waiting to keep guests cozy during the ceremony. This beautiful floral arch by Flower Artistry framed the scenery for the ceremony. Erin hand painted all of the charger plates to tie in perfectly with their wedding invitation and the cake design. I loved their custom Connect 4 guestbook. This was a really sweet historical moment in the bride's family when Great Grandma got to hold her First Great Grandchild for the First time. The floral installation on the fireplace by Lyn of Flower Artistry was stunning.